When a company looks for a CRM integrator to implement the system into their business, their personnel initially don’t know how to use the software. That’s why one of the key factors of choosing a CRM integrator is the quality of its support desk. And that’s why the mission of a Microsoft CRM partner includes not only installation of the software, but also provides professional technical support which has great influence on the company’s image and its competitiveness on the market. What do CRM integrators do now to provide the support? Email support – the simplest, yet longest, way to provide support. Generally, users need a response help desk right away, but emailing forces them to wait for an answer. Support case web form allows easy tracking of support requests, but it also makes users wait until the support team contacts them. Just like email support this method paralyzes CRM users’ work and leads to customer dissatisfaction. Phone support is intended for elimination of the time consuming shortcoming of email and web form options. Unfortunately there are often not enough support operators to serve all the clients calling at the same time, so they again have to wait on the line. 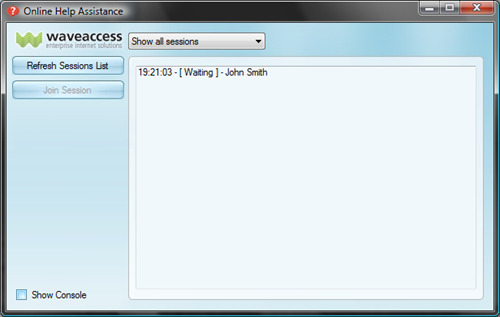 The other disadvantage of phone support is the impossibility of sending links and establishing screen sharing sessions. Also, while email and web form ways of support do not presume an immediate response, delaying a user's work, phone line support may cause problems for someone who has trouble with speaking. (This is specifically very common in non-English speaking countries). How can OnlineHelp improve my support service level? 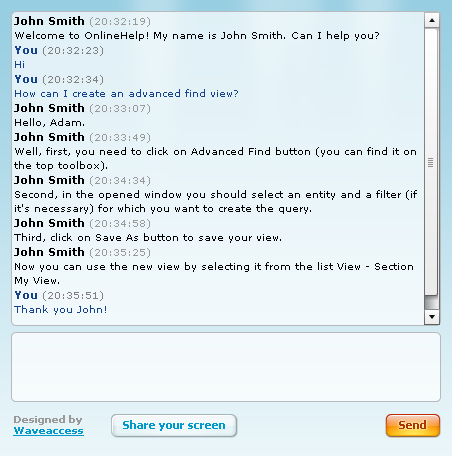 With OnlineHelp instant support can be provided via built-in live chat and screen sharing tools. 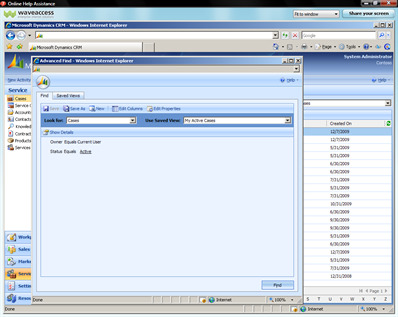 From user's perspective it's just an OnlineHelp button on the Microsoft CRM toolbar. 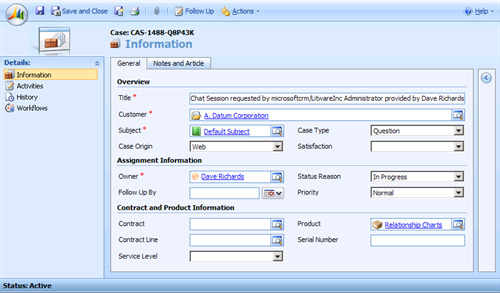 As soon as a Microsoft Dynamics CRM user faces a problem she or he clicks the OnlineHelp button and a support person will start speaking with the user in the chat. The most important thing here is that whenever the user faces a problem she or he can immediately initiate a help session with a competent person without the need to open any additional programs. The support person will be able to understand the problem and either give advice on how to deal with the situation or establish a screen sharing session to take control over the user’s mouse and keyboard to perform what is necessary to get the user going. 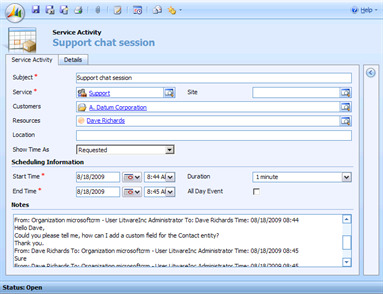 One of the main features of OnlineHelp is the ability to save all support activities as Cases and Service Activities in integrator's CRM system. It allows tracking of support quality and makes everything countable and billable.